We've had our Zoku Slush and Shake Maker for quite a few months now and absolutely love that little thing. With the slush maker, you can make slushies and milkshakes in 7 minutes. Even better, you are able to make frozen alcoholic drinks with it, no blender necessary. 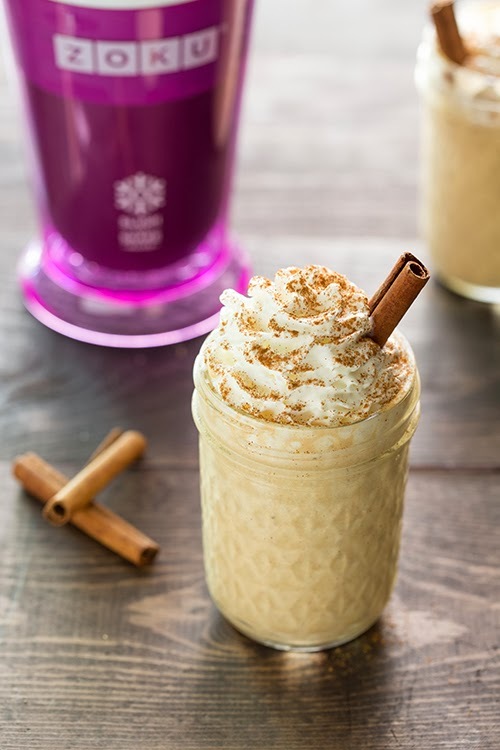 The Slush & Shake Maker is designed to store easily in your freezer so it is always ready to use. To use the Zoku Slush Maker, you remove freeze the inner core prior to use. Then place the frozen inner core into the plastic outer sleeve, pour in your ingredients, mix & scrape the cup with the included spoon. Voila! 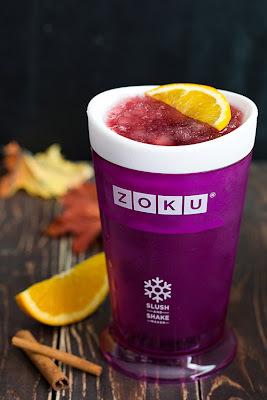 Check out these fast and easy Zoku Slush Recipes (click on the title to be taken to the recipe page - photos from zoku's blog). 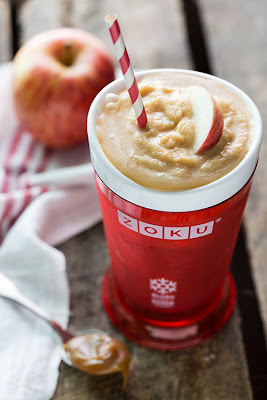 My friends at Zoku want to give one lucky reader a Zoku Slush and Shake Maker. Let me know in the comment section below what your favorite frozen treat is. Ice cream, in any form. As long as it has some chocolate in it. The Zoku maker has been on my radar for the past few months! I wanted to try it with the starbucks at home coffee drinks. Thanks for sharing! Mmmmm...I need this gadget in my life. The creations looks sooo yummy. I think my all-time favorite frozen treat is a classic strawberry milkshake. My favorite frozen treat is frozen yogurt. I love the tart flavors. I want this, I want this, I want this!!! My favorite frozen drink is really just a Coke Float! i would love this! my fave drink to make is coffee shakes. mmmmmmm good!